Roger Federer dropped his sponsorship deal with Nike to join Uniqlo for what has been reported as $30 million per year. Now the complete outfit designed by Christopher Lemaire is available to pre-order for just $120 for five items of clothing. “Mr. Federer is one of the greatest champions in history; my respect for him goes beyond sport. Our partnership will be about innovation on and off court,” said Tadashi Yanai, Uniqlo Founder and Chairman. The set contains a headband, shirt, shorts, wristband, and socks packaged in a special box. Instead of the classic polo shirt or crewneck style collar, the shirt incorporates a stand-up collar preferred by Roger Federer. “We share a goal of making positive change in the world, and I hope together we can bring the highest quality of life to the greatest number of people. UNIQLO will help Mr. Federer continue taking tennis to new places, while exploring innovations in a number of areas including technology and design with him,” said Yanai. 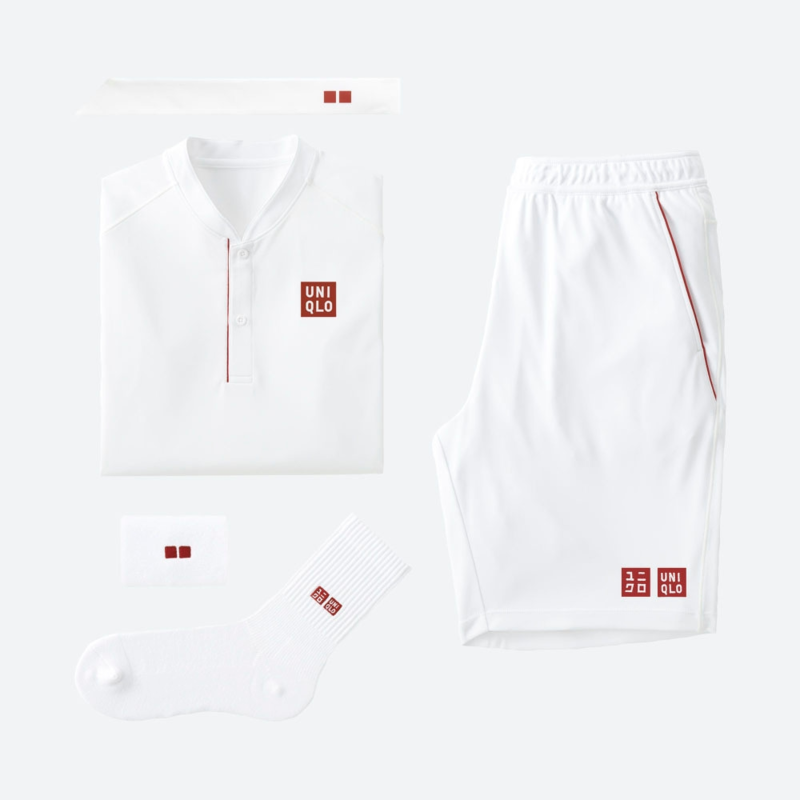 You can pre-order the Roger Federer outfit from Japan now, subject to international delivery and customs fees.. Uniqlo is only permitting one order per customer for this exclusive piece. However, the brand offers a variety of tennis-inspired clothes available right now including the line worn by Kei Nishikori at the 2018 British Open.